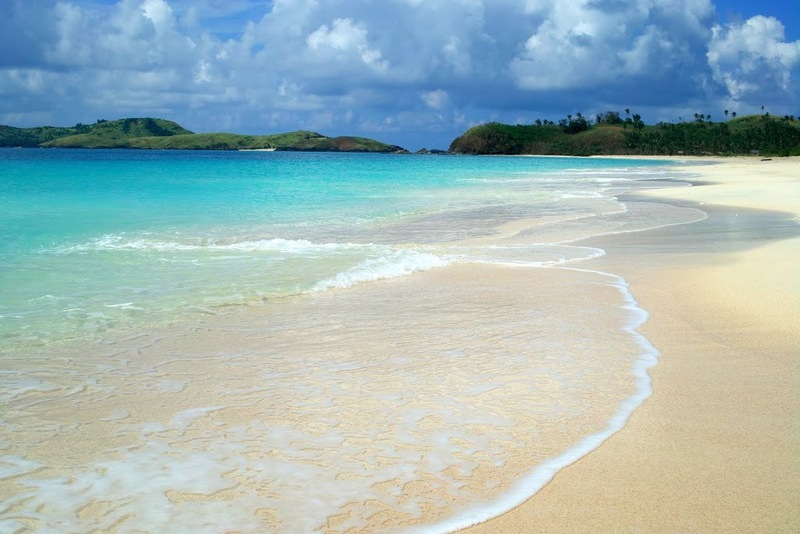 The Calaguas group of islands of Camarines Norte is blessed with pristine white sand beaches and aquamarine waters. Cap that off with little development, and you’ve got the making of an untouched paradise. And what better way to experience the powdery white sand and clear waters than by packing your bags and heading over to one of the best: Tinaga Island. Although the journey to this paradise is not really enjoyable, especially when the waters start to get rough (although this is always a possibility given that the island is located in the Pacific), the beauty that greets you is more than enough to erase all the discomfort of your journey. Here’s the thing you should know about Tinaga Island: there’s no available accommodation. There are huts, but the best way to enjoy the island is to pitch a tent. Put it this way: if you’re the type who just loves the peace and quiet, you’ll surely love what this island has to offer. 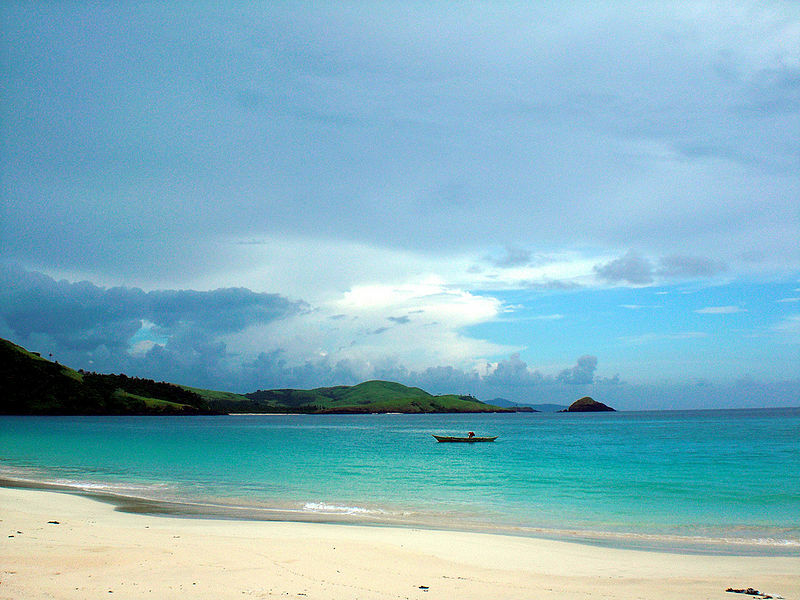 Basically, the best way to enjoy Tinaga is to swim the waters of Mahabang Buhangin (Long Beach) – the name given to the beach on the island – and lay on its sand. How to get to Calaguas? Board a bus bound for Daet, Camarines Norte. The travel time is around 7-8 hours. Get off at Barangay Talobatid where you will get on another bus to take you to Paracale (travel time is less than two hours), which will serve as your jump-off point to the island. At Paracale, head to the fish port and ask for boats to Mahabang Buhangin. Travel time is around two hours. Alternatively, you can board a Superlines bus which has a direct trip to Paracale. Another option is to stop at Daet then catch a jeepney bound for Vinzons. Get off at the fishport. There is a boat that leaves Vinzons for Barangay Banocboc and it leaves daily at 11 AM. The trip will take 90 minutes. At Barangay Banocboc, hire a banca to get you to Mahabang Buhangin. The closest airport with regular commercial flights from Cebu Pacific, Philippine Airlines, and Zest Air is in Naga, Camarines Sur. From Naga, you have to board a bus at the Naga Van Terminal for Daet. Travel time is around two hours. If you don’t want to do the DIY route, there are several package tours offered by local tour operators. However, keep in mind that there isn’t exactly a “TinagaIsland” itinerary because basically all you do on the island is eat, sleep, and swim. Normally, these tours take you around other parts of Camarines Norte. How can you make the most of your time? If you want a glimpse of what it’s like to live on the island, you can take a 15-minute hike to Barangay Mangcawayan. It’s located on the opposite side of the island, and it’s where you get to see more people than you can on the beach. There are stores in the barangay as well in case you need to buy supplies. Your stroll to the community will be filled with tall wild grass and coconut trees. In this part of the island, you get to see the simple life: kids playing basketball for amusement and adults engaging in cockfights. You also get a glimpse of carabaos (water buffalo) that have been domesticated by the residents. Another fun thing to do on the island is to trek to the nearby hill so you can see the beach from a different vantage point. Consider it another tip to get good photographs of the island. Although Tinaga Island will strip you off of modern comforts, the feel of soft sand through your feet and the touch of clear water on your skin are more than perfect for rest and relaxation. ** Thank you to Daryl Evangelista for the video, Jonathan Schoeller and www.travelphotology.net for the photos.